First of all, we want to thank everyone who participated in our Diwali Nostalgia contest. 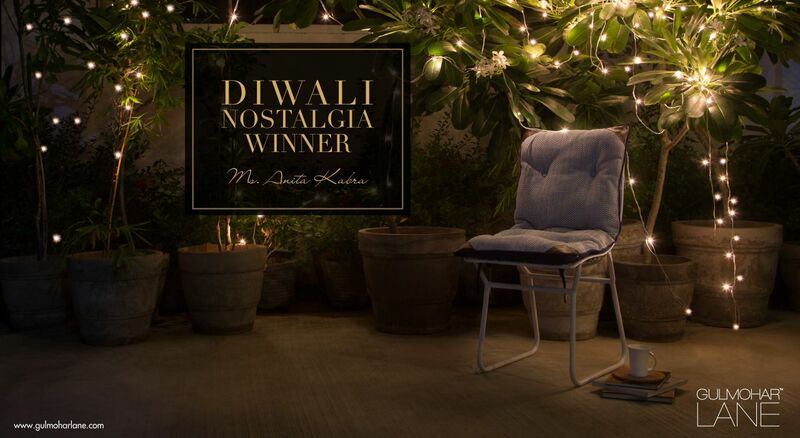 We are delighted to announce Ms. Anita Kabra as the winner of the Diwali Nostalgia contest and want to congratulate her on winning a Rosso Metal Chair with Tie-up cushion. Thank you for sharing your fun-filled Diwali memory.